Simply magnificent! 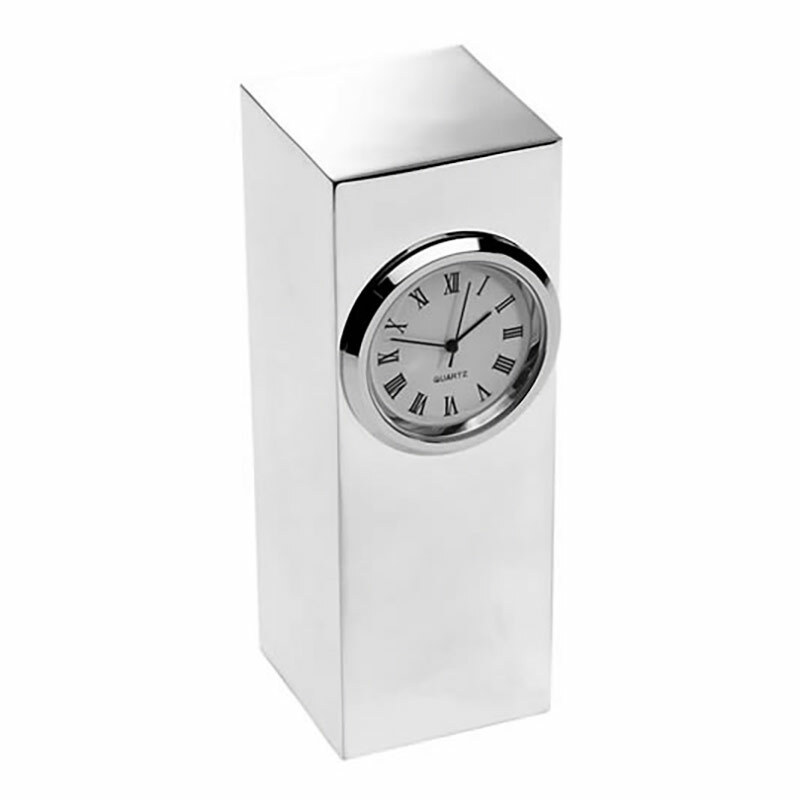 A free-standing silver plated desk alarm clock that's equally at home in an art gallery display case as on your desktop. This distinctive and elegant desk clock stands 4in tall and features a round clock face set in an attractive 'tower' shaped case. It provides a large area suitable for engraving of corporate or personal messages - perfect for recognition awards or promotional merchandise. We offer FREE ENGRAVING on all orders, and fixed price UK delivery too.